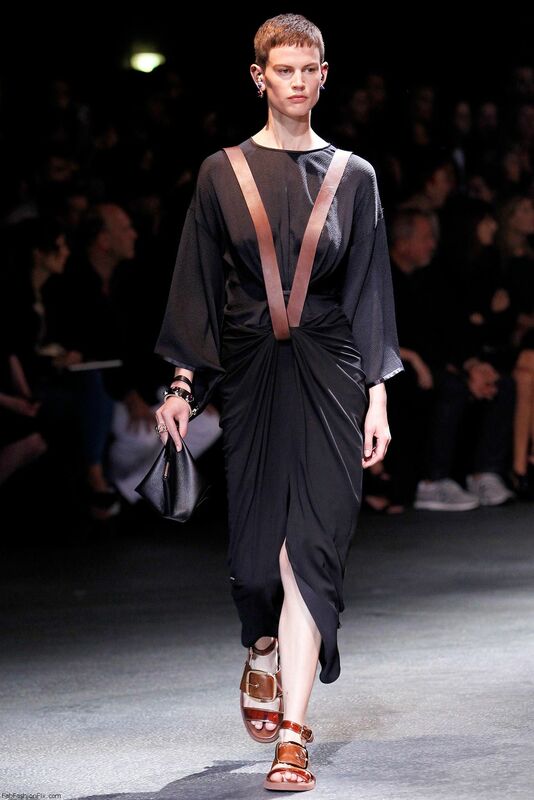 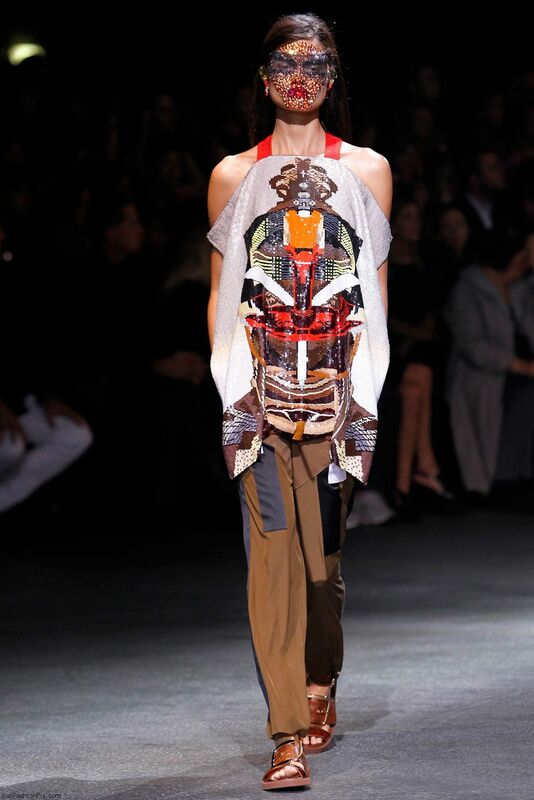 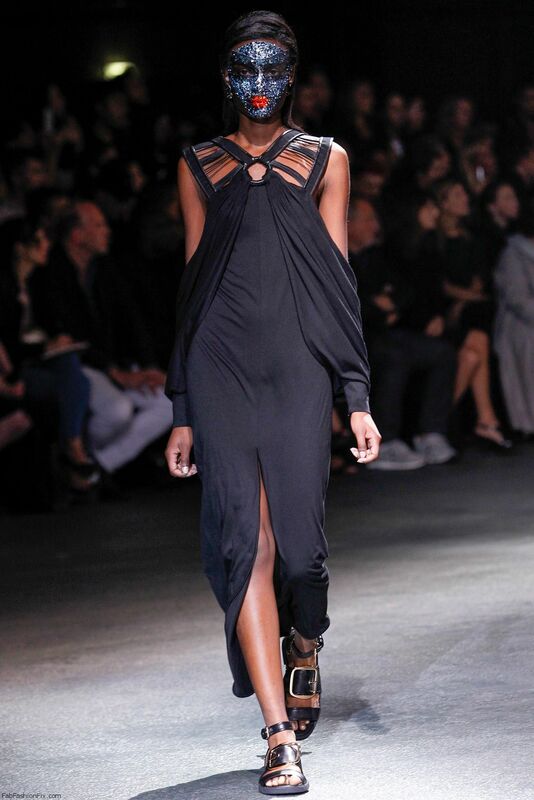 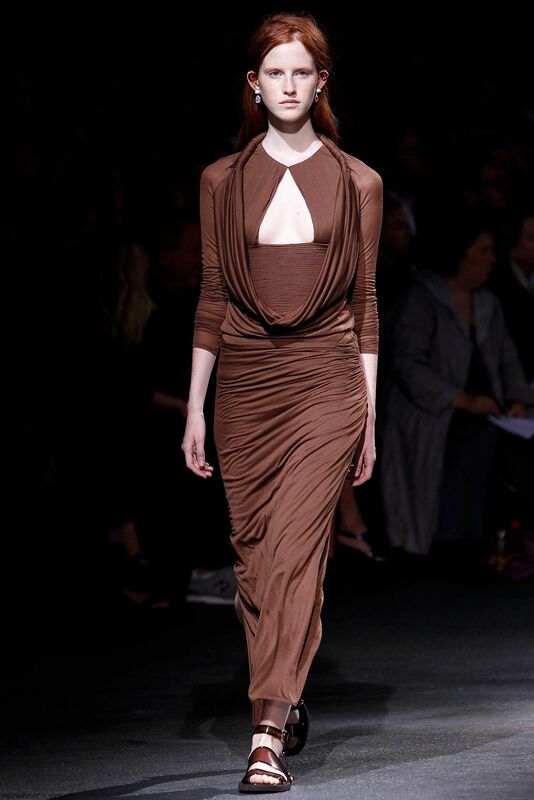 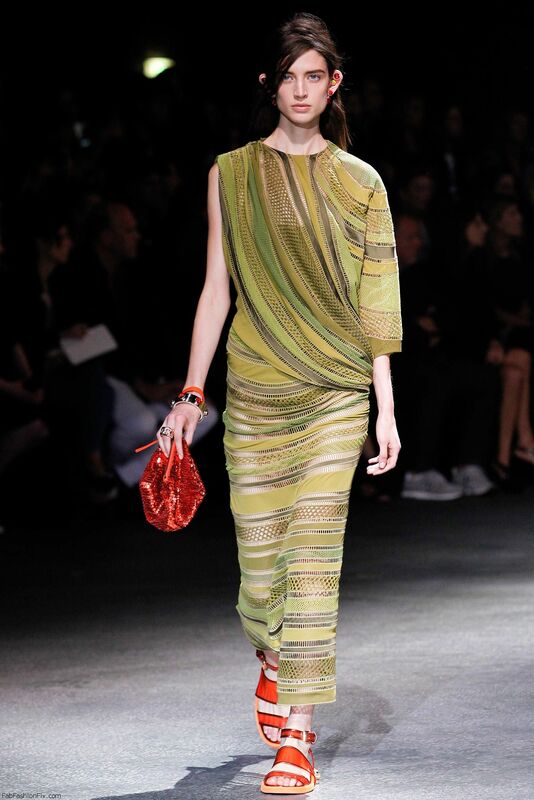 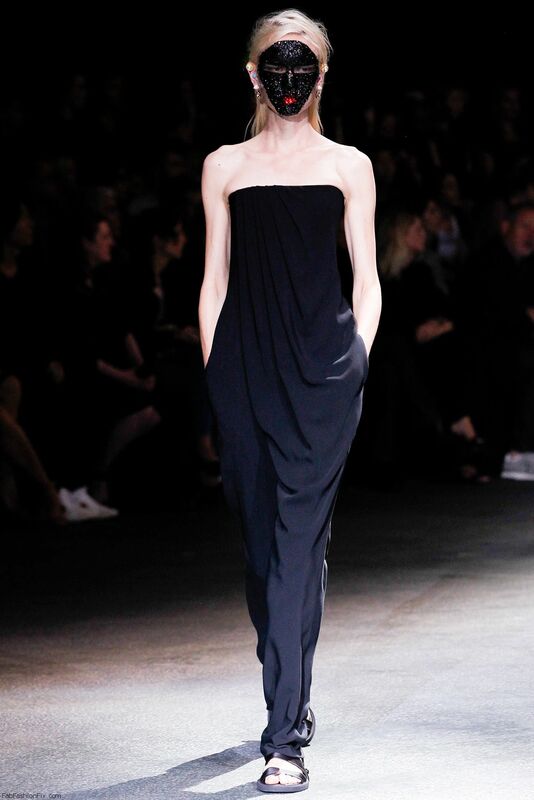 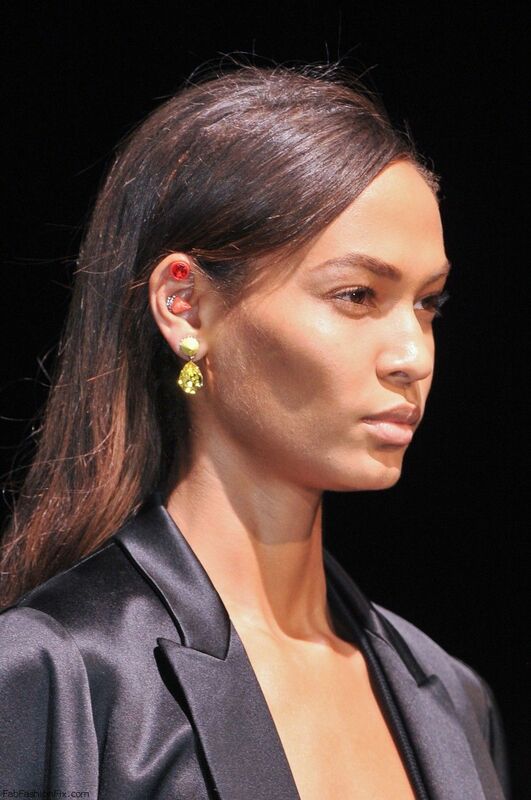 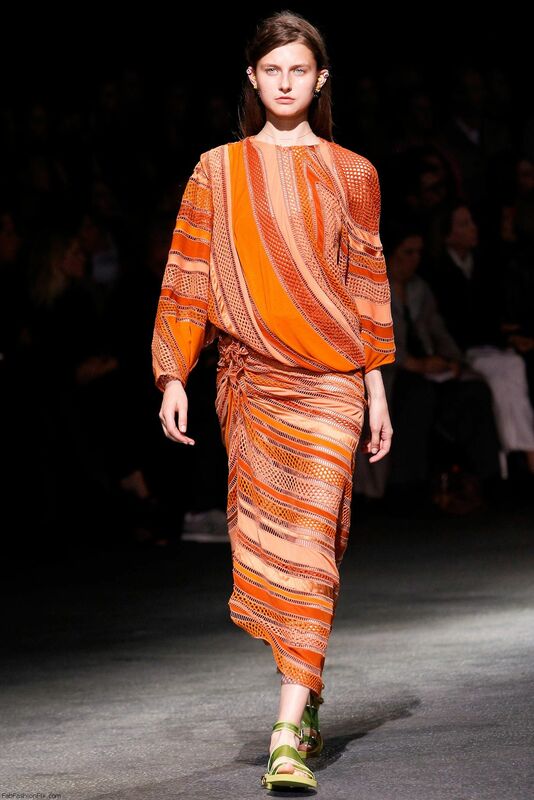 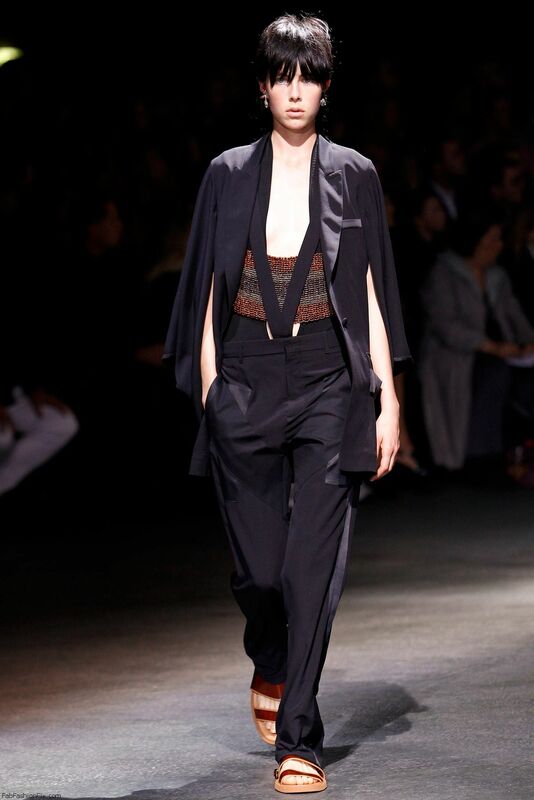 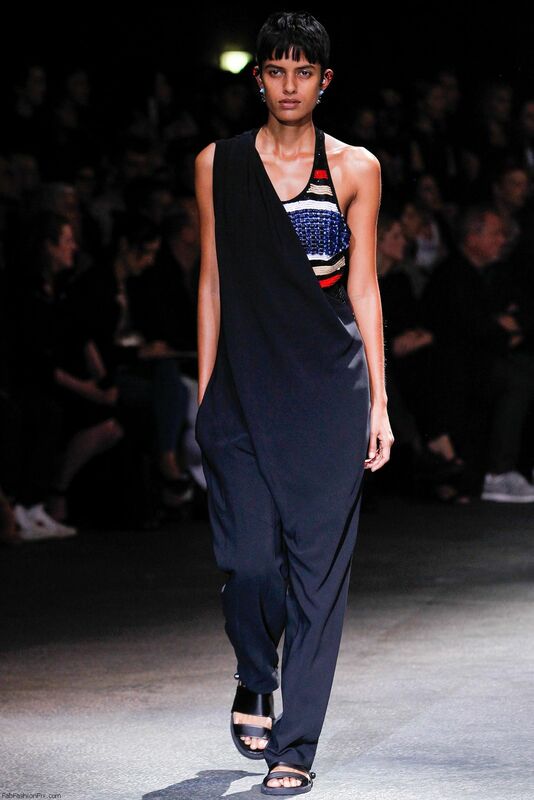 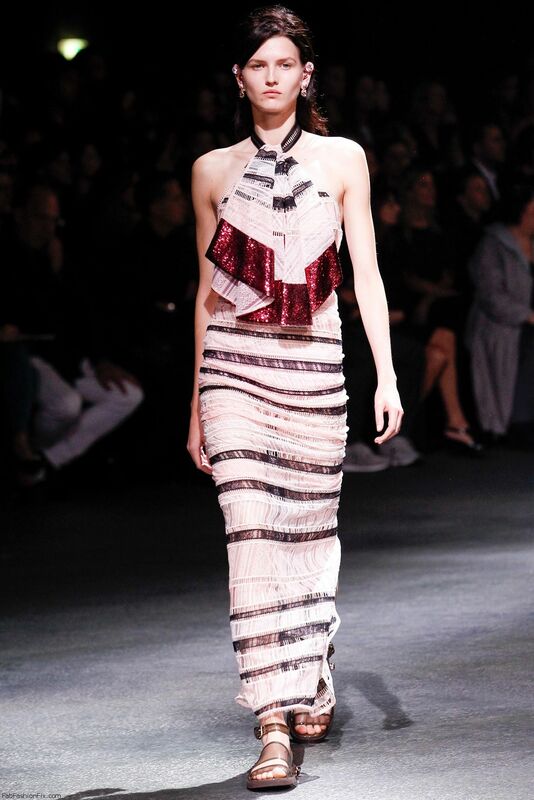 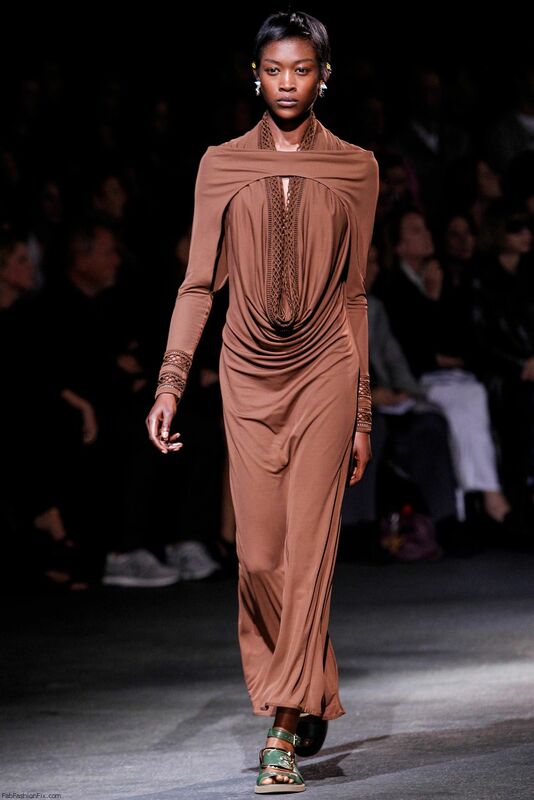 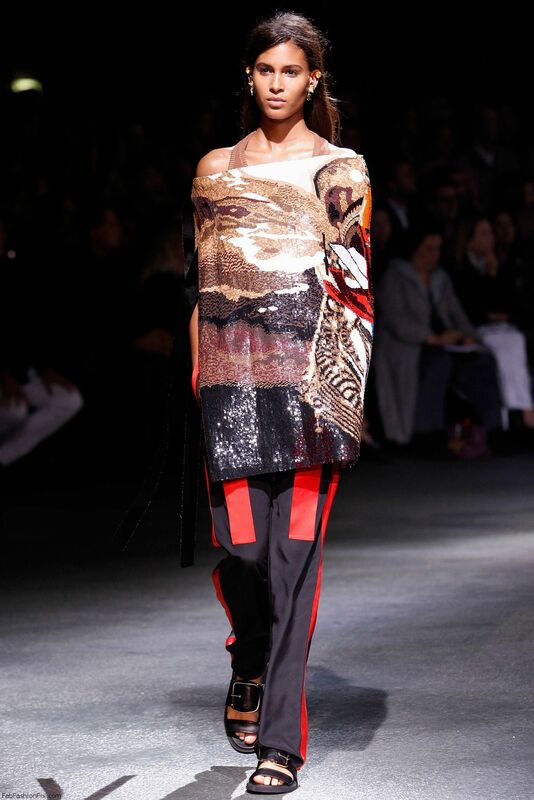 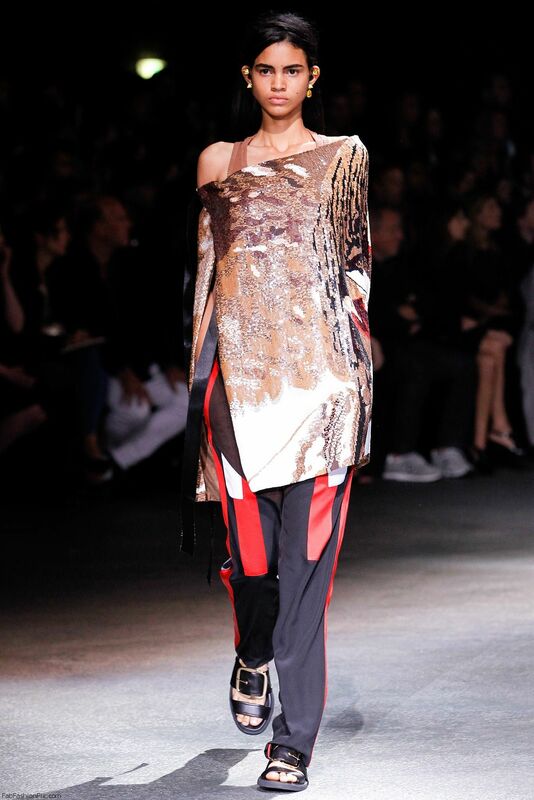 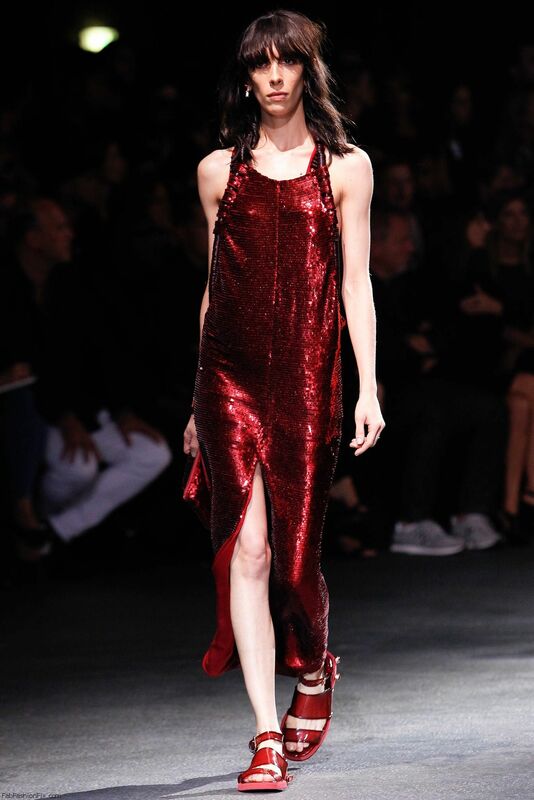 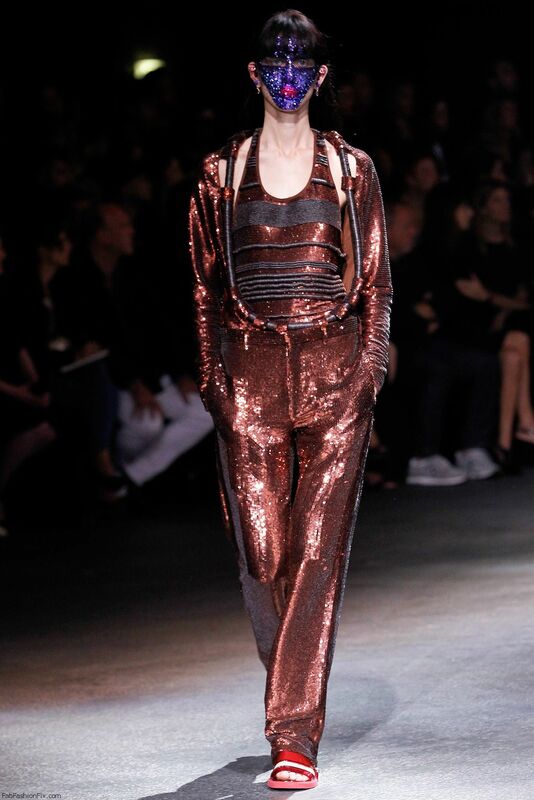 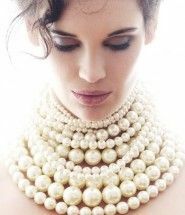 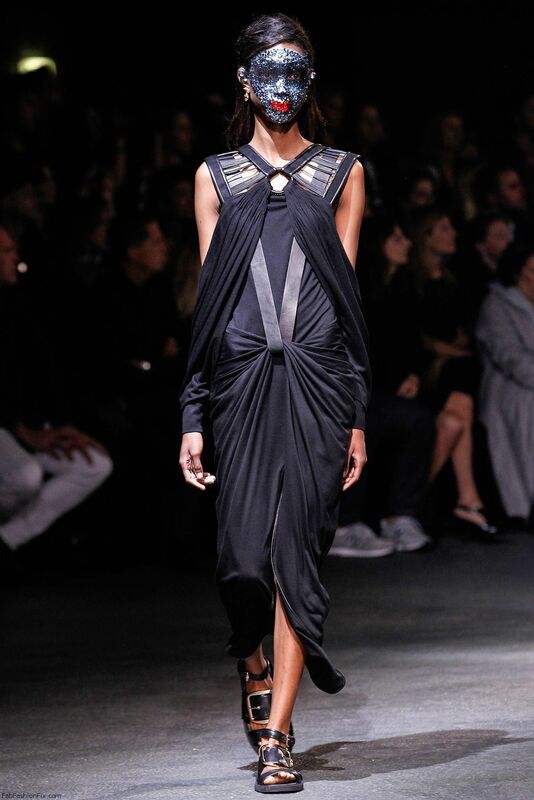 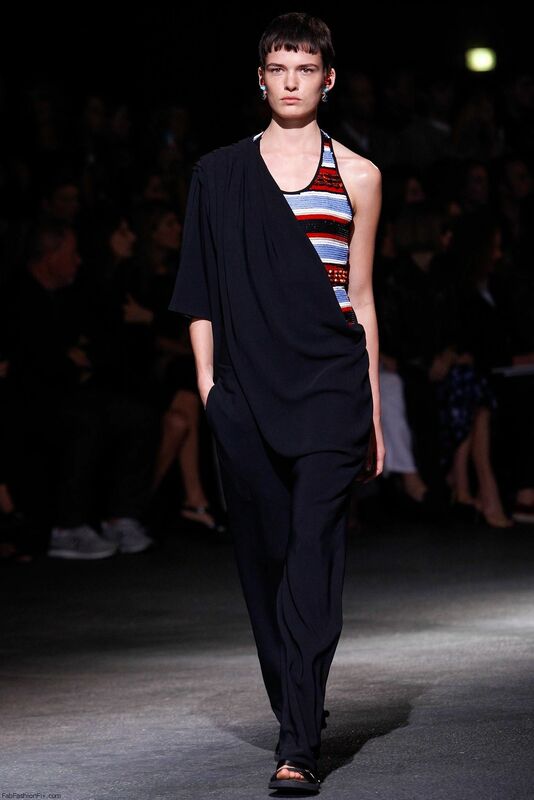 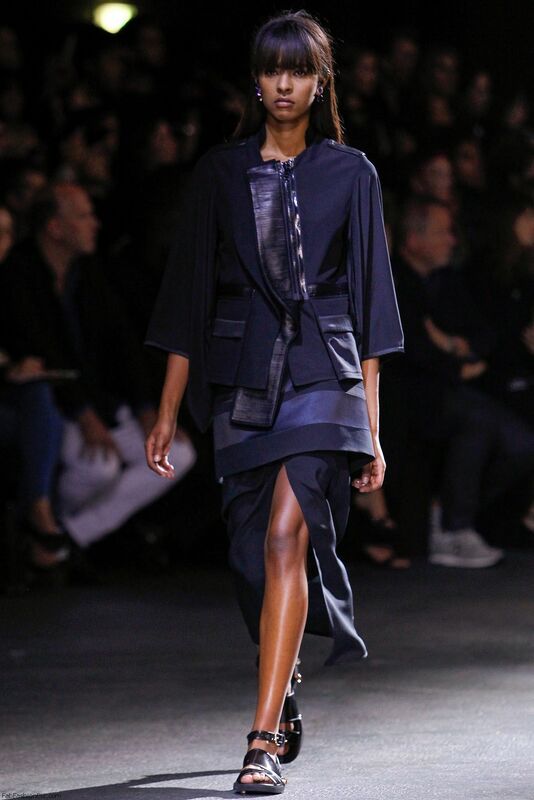 French luxury fashion house Givenchy presented their spring/summer 2014 collection at Paris fashion week spring 2014. 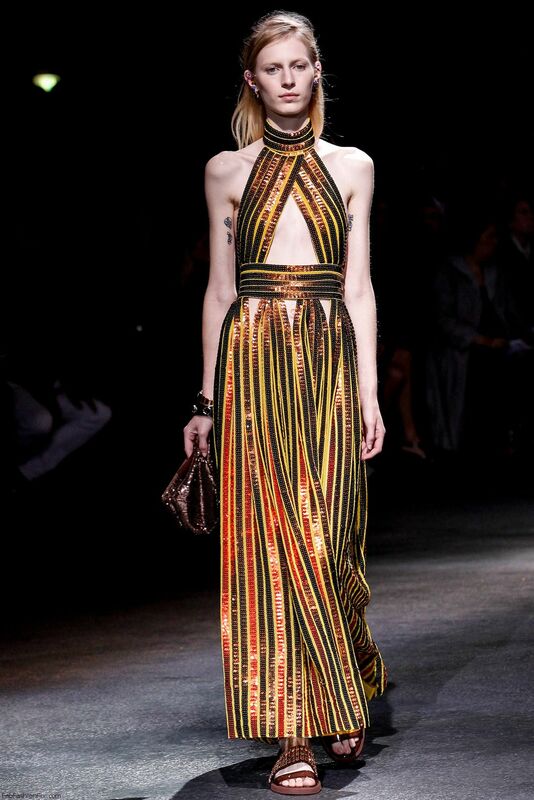 Creative director Riccardo Tisci sad this collection was “a car crash of cultures”. 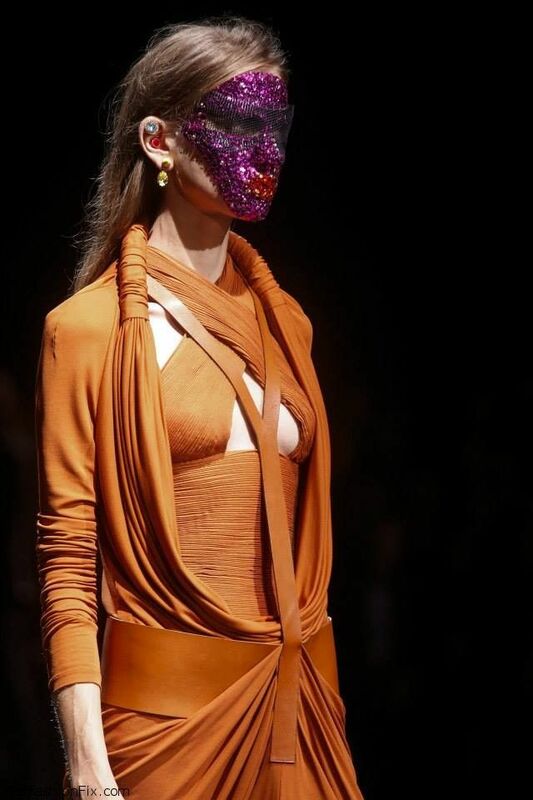 Coming from the designer whose designs never fail to impress, we were quite impressed with handmade masks – blend of ethnic tribal motifs with deluxe vibe. 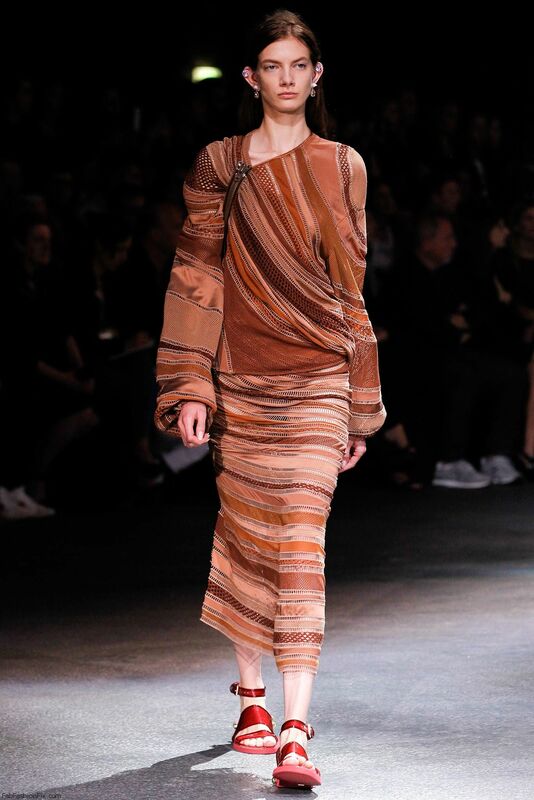 The color palette mostly included earthy tones such as brown, terracotta, olive green and bronze but also there were a few pops of yellow and orange color.